The #2 Soul Red Pro Formula Mazda operated out of the Texas AutoSports Facility at Motorsport Ranch has recently raced in the 2018 Hoosier Racing Tire SCCA Super TourSeries, INDYCAR sanctioned 2017 Indianapolis Grand Prix, and the 2016 Pro Mazda Championship series is available for Arrive and Drive sessions with on site driver and car support at Motorsport Ranch Cresson in Cresson, TX. See our products page for more details and call Sitara Wilson with Texas Autosports, 9016 Performance Ct. Cresson TX, 76035 at 817.382.4188 for pricing, specifics and availability. We have the only Top Speed cockpit motion simulator with oculus rift available in the DFW area ... This is the closest simulation to actually being in the race car of your choice on the race track of your choice. Cockpit Motion Simulator rentals available with Oculus Rift using iracing, Rfactor, Rfactor 2 etc . Sessions are 150/hr. Call Yoli Ford at 844.717.3278 (FAST) X 101 for specifics and availability. 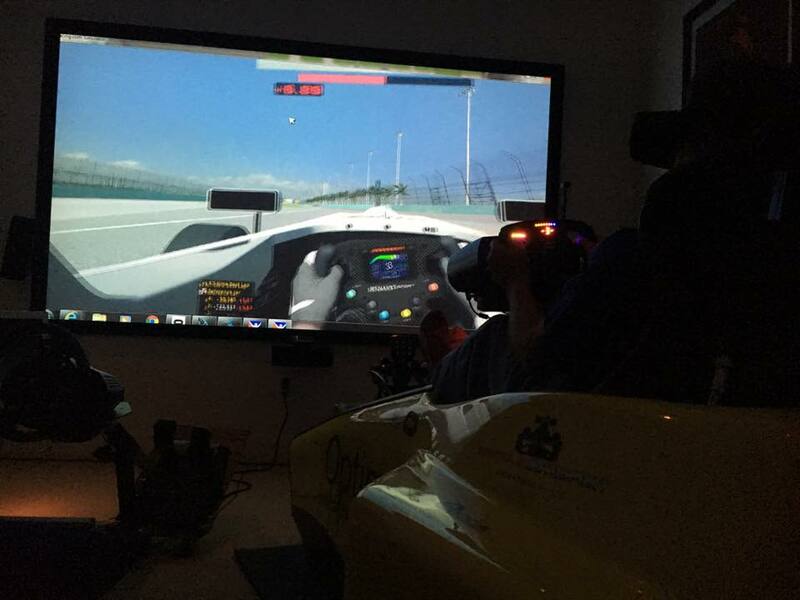 FALL TRAINING SPECIAL - all SIM sessions on the Formula Autosport Enterprises TOPSPEED full cockpit motion simulator with Oculus Rift Virtual Reality are half price from Oct. 1, 2018 to Oct. 31, 2018 .. so get on the only full cockpit motion sim with VR in DFW to prepare for your upcoming race or track day at MSR or COTA here in Texas or wherever in the car of your choice .